I'm not a very athletic person. You probably won't ever read about me climbing a mountain, going on multi-day treks in Peru, or running a marathon anywhere in the world. But that doesn't mean that I don't like to be active. In fact, the more I travel, the more I crave activities that combine the touristy bits with some sort of active pursuit. 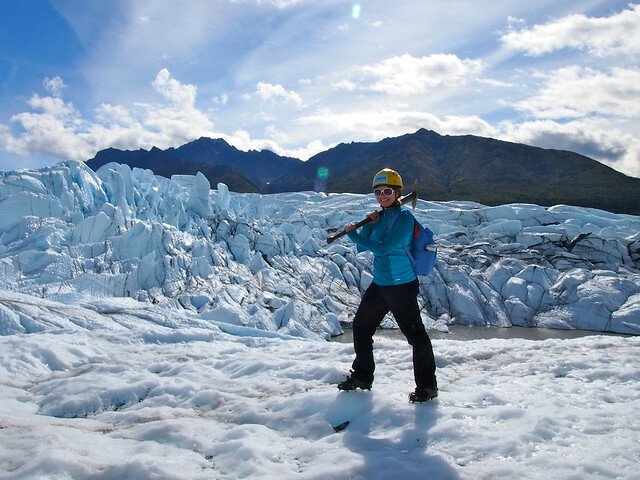 I've gone snorkeling in Belize and Hawaii, whitewater rafting in Colorado and Slovenia, glacier hiking in New Zealand and Alaska, stand-up paddleboarding in Florida, and never pass up an opportunity to do a walking tour of a new city. Lately, though, I've been drawn to another sort of “active tourism” as I've decided to call it: bike tours. Riding a bike can be the perfect way to explore a new place. It's faster than walking (thereby allowing you to see more), but still gives you more freedom than driving around a city in a car or riding a bus. And you get a bit of a workout, too. 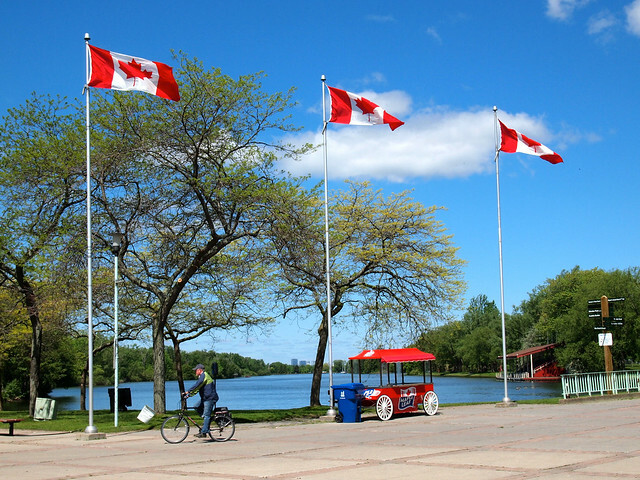 In the past year, I've done an electric bike tour around San Francisco and over the Golden Gate bridge; have rented a bike in Ottawa to experience the Canadian Tulip Festival; and most recently did a bike tour around the Toronto Islands. This most recent tour — with Toronto Bicycle Tours — really helped me to realize that bike tours may be my new “thing” when I travel. 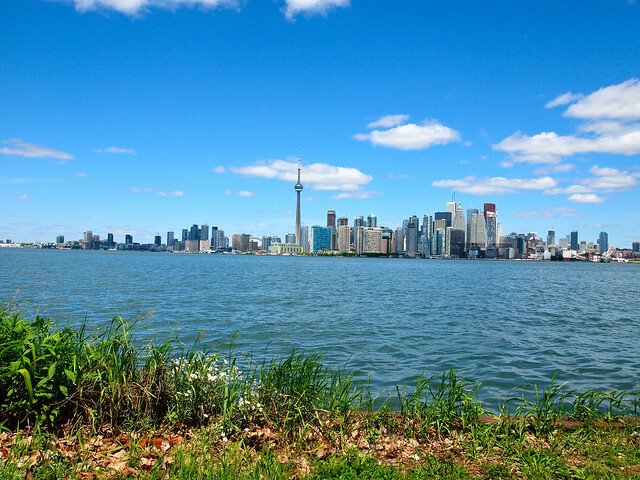 This particular tour began in downtown Toronto (giving riders a taste of riding through city traffic), and then included a 15-minute ferry ride out to the Toronto Islands. 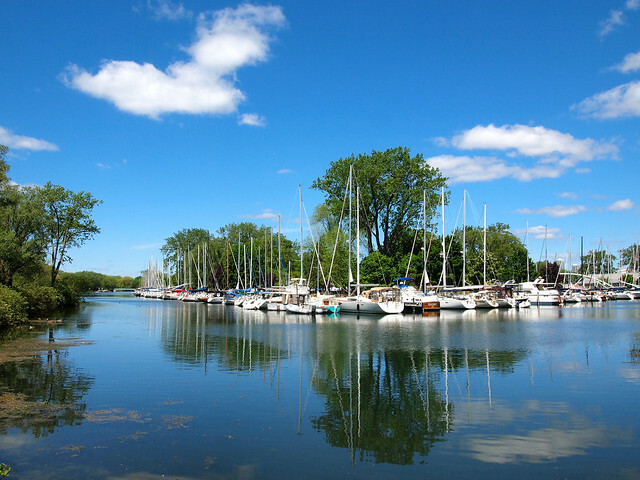 Believe it or not, Toronto actually has a chain of 13 small islands just offshore in Lake Ontario. Today, the islands are mostly car-free and incredibly slow-paced compared to nearby downtown Toronto. We began at one end of the island chain, learning the history of the islands as we traversed to the other end. We made photo stops at beaches and lighthouses, and enjoyed both the great weather and great views. Not many people live on the islands anymore (the government now owns all the land and no new construction is allowed), but I could imagine how great it would be to have a quiet home here yet be mere minutes from the city. As we rode through the quiet sunny streets, it hit me that THIS is how I would like to explore every new destination if I could — on two wheels. 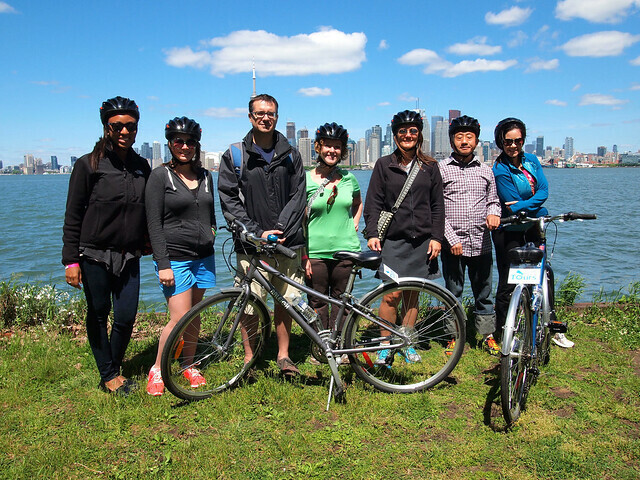 Not only was I charmed by the “other side” of Toronto on this tour, but I also affirmed my love for bike tours. I've already got two scheduled for next month in Europe. When: 7:00 – 10:30 pm nearly daily in the summer (yes, this is usually an evening tour so that you can watch the Toronto skyline light up at night!). Check out the calendar here for booking. Pace: Easy; suitable for kids, too! Have YOU ever been on a bike tour? What do you think of them? I did a bike rental across the Golden Gate Bridge. It was a great experience. I also did a mountain biking rental along on the Queen Charlotte Sound in New Zealand. This one was a little terrifying for me because I had not biked in years. The path was narrow, and I did lose control a few times. As scary as the NZ biking experience was, I’ll be that was beautiful – Queen Charlotte Sound is awesome! And as for biking the Golden Gate Bridge, you kind of have to! Hey Amanda – I have a folding bike that I travel with. It probably works out more expensive than renting or just going to wal-mart and buying a $100 bike at each destination but it’s fantastic to have a bike I feel familiar with. An option for you to consider! I’ve also recently discovered a love of biking! While I haven’t taken a bike tour yet, I’ve rented bikes with friends and family for relaxing days of sightseeing. Such an enjoyable way to explore! Bikes are so great for sightseeing! Relaxing, but still allow you to cover a lot of ground. Renting a bike is one of the first things I consider when in a new place. It’s makes getting around so much easier yet you go at a pace were you can admire things and stop whenever you want. It’s also allows you to go off trail a bit which is awesome. That’s exactly what I like about being on a bike in a new place, too! You’ve done loads, Christine! That’s awesome. I’m excited to do some more later this year! We took a 6-hour fat bike tour of Paris and loved every minute. It’s a really fun way to see a city fro a different perspective. 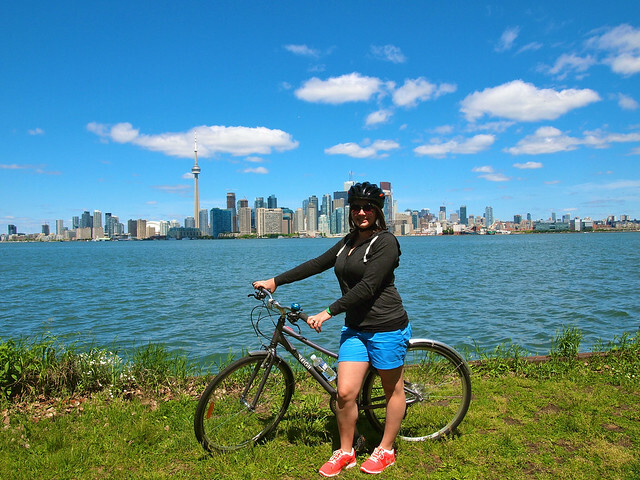 When we travel now I’m going to look for bike tours – I’m hooked! Bike tours and food tours are both really growing in popularity all over the world. I may have to look for a bike tour in Paris too, now that you mentioned it! Hey, I remember this bike ride! That was a fun experience. I agree about bike tours, by the way. I enjoy walking around a city but it’s hard to get a good overview. That’s where something like a bike tour is great. I started cycling in the past year and find it a lot of fun. Yup, I agree! Plus, biking saves your feet from getting worn out from too much walking! I love bicycling, and think besides walking that it is the absolute best way to explore a city, and sometimes the fastest. I’m tempted to even do a long distance bike trip that I had planned for summer this year that fell through last minute. Love that Hemingway quote, Ryan! Sorry to hear that your bike trip fell through. Hopefully you’ll make it work another time! I too am finding myself drawn to more “athletic” aspects of travel which to me are walking or biking tours! I haven’t done too many but this is something I love doing. Looking forward to reading about your bike tours in Europe! I feel like they will become more and more popular – there are already so many on offer all over the world! I’m looking forward to trying some more soon! It definitely appeals. A few months ago we read that limited-time guided bike tours were available through the Christchurch rebuild zone – that would be really interesting. We rented mountain bikes a few years ago and rode (self-guided) the Central Otago Rail Trail – would highly recommend that, especially as you stay in some brilliant places along the way and our option included having our bags transferred between them. Easy! A bike tour through the Christchurch rebuild zone WOULD be really interesting. What a cool idea. I know NZ has some amazing bike trails (and that the number of them is growing). Will definitely keep that in mind text time I make it down there! Hooray for bikes! I love taking my bike around town, but I need some other places nearby to go. It makes me miss having a car so I could just drive somewhere new and then take my bike around town. Even with a folding bike, trains and airlines don’t really like you packing one for the trip. Yeah, sometimes you really do just need a car. Though bikes are much better in big cities! I love seeing people drawn to active travel! I often commute around town on bike, and love active/adventure travel, but strangely enough I’ve never done a bike tour when traveling. I really want to bike the Baltics someday, but I’ll *definitely* be looking into bike tours on my upcoming trip. You should definitely look into bike tours on your next trip! There are more and more of them offered these days. We went rented one and explore Vancouver and Stanley Park by bike which was amazing. We also did one throguh San Fran and the Golden gate bridge, and if I’d known the geography of the land I probably would have forked out the extra for an electric bike like you. I *almost* rented a bike a couple years back in Vancouver, but I was only there for a weekend conference and didn’t really have the time. Definitely need to next time! Yes, there definitely is a lot of freedom when you’re on a bike! Much more so than when you’re driving a car. Looks like you’ve survived well through so many different climates! I do what I can. But yes, no climate has beaten me yet, on a bike or not. I really enjoy your sense of adventure. It’s inspiring! Hello Amanda – When we go on holiday we always use the rental bikes, as it is too much of a faff driving and we love it. my husband wasn’t so keen on it at first because of the kids but they have so much fun they don’t really notice how long it has been. Best Wishes x.